We were upgraded at check-in. We had a newly renovated room with a view. Great shower! Breakfasts were awful! Very tasteless. Coffee ok but only offered in small cups. No pastries and only apples and oranges for fruit. Where to find Crescent City hotels near an airport? Where can I find hotels in Crescent City that are near tourist attractions? Even though there aren't any Expedia hotels in Crescent City, there are about 16 within 0.1 kilometres (0.06 miles). The nearest Expedia-listed hotel is the Best Western Plus Beachfront Inn, Oregon, which is 35 kilometres (23 miles) from the heart of Crescent City. As an alternative, you could try the The Historic Requa Inn, located in North Coast California, which is 25 kilometres (16 miles) away. 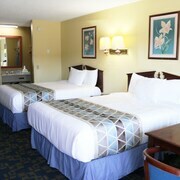 You could also check out the Best Western Plus Northwoods Inn and the Quality Inn & Suites Redwood Coast. 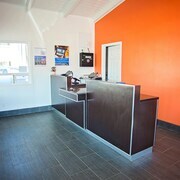 The Best Western Plus Northwoods Inn is situated 15 kilometres (9 miles) from the middle of Crescent City. 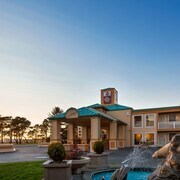 The Quality Inn & Suites Redwood Coast, is positioned 15 kilometres (9 miles) away. Other hotel options are the Anchor Beach Inn and the Super 8 Crescent City. While you are in Crescent City, ensure you allow time check out more of Northern California. Northern California has mountains, and common Northern California attractions include art museums. Locals and visitors alike in this part of United States of America commonly enjoy snowboarding. 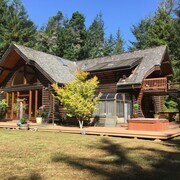 Located 95 kilometres (59 miles) to the south of Crescent City is Arcata, which boasts a variety of accommodation options. 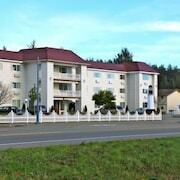 Options here are the Hampton Inn & Suites Arcata and Best Western Arcata Inn. Planning a trip to Crescent City? The handiest airport is Arcata - Eureka Airport, 90 kilometres (56 miles) from downtown Crescent City. 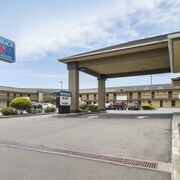 Stay close by at the Holiday Inn Express Arcata / Eureka - Airport Area. What are the most popular Crescent City hotels? Are there hotels in other cities near Crescent City? 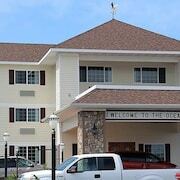 What other types of accommodations are available in Crescent City? Explore Crescent City with Expedia.ca’s Travel Guides to find the best flights, cars, holiday packages and more!